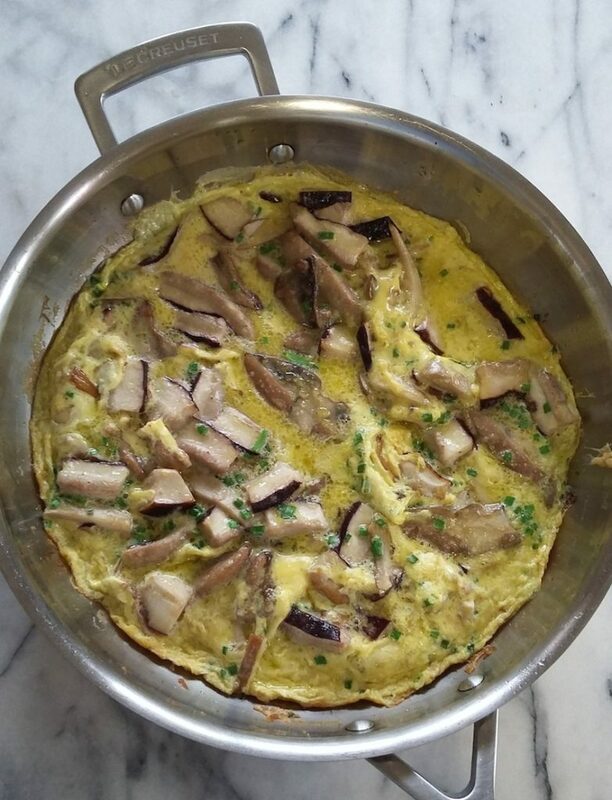 When a foraging friend brought us some mushrooms from a ‘secret place’ and I looked at them lying in a colander, I thought Porcini Frittata, and then Wok fried Pine Rings. [stone mushrooms], in Italian as Porcini [because they look like little pigs and in England as Penny Buns, well because they look like Penny Buns. I worked once with Alistair Little at a food show in Cape Town and while he talked and demonstrated food, I talked wine. 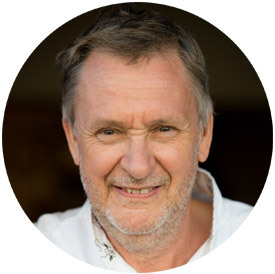 Alistair is a well known Chef in the UK and beyond and played a huge role in establishing modern British Cuisine. He made a few Frittatas, which were utterly delicious. It surprised me how much olive oil he used – all adding so much to the flavour. 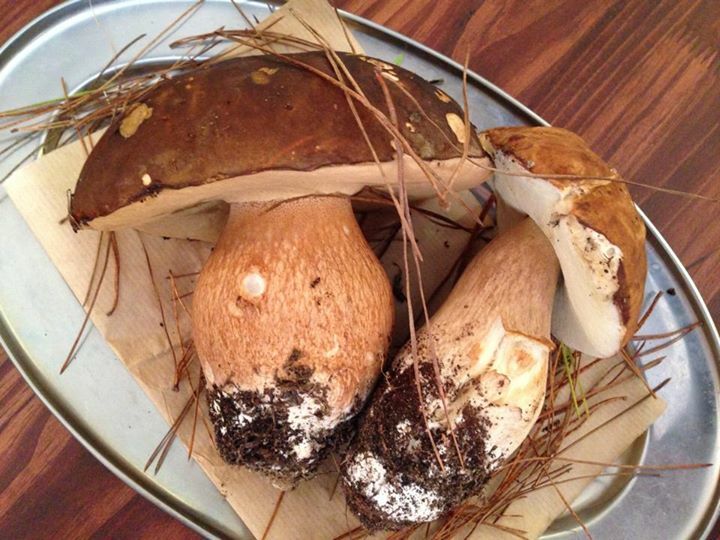 Prepare the porcini. Cut off the stems and cut them into thin strips. Slice the tops quite thinly and then slice into little rectangle. Heat the oils in a 30cm frying pan, which can go into the oven. You can use the Willow Creek Parmesan Infused Oil if you prefer. When the oil is hot add the stems and fry for a short while, then add the remainder of the mushrooms and fry for a couple of minutes until soft and perhaps just turning colour. Season with sea salt and the freshly milled black pepper. Beat the eggs in a bowl with a whisk, add the chives and season. Bring up the heat under the pan and pour over the eggs. Cook for a short while to set the eggs. The top may well be unset, so place the pan in the oven for about 5 minutes to cook the top. Serve on warmed plates with a crusty loaf.